Setshwaelo, produced clear direction for Africa agriculture and it’s no different from the direction SON has been pointing and walking. I will say more about this seminar later in this discourse. increased, the availability of ready-to-pluck or ripe for slaughter decreased and they learnt to hunt their game. With more population increase, even hunting could no longer provide the needed food. So they learnt to sustain the generation of required plants and animals; to replenish the earth’s creative stock. This is called farming or agriculture. Farming is a subset of agriculture. Agriculture widely defined includes such stuff as soil science, some biology, some veterinary science, some engineering and some economics and management. Successive waves of population increase have created a gap in the world’s food supply, thereby expanding the frontiers of agriculture. The productivity of a nation’s agriculture is more important than the number of people in the nation that are engaged in agriculture. This field takes investments for it to deliver optimally. The investments include land, financing, training/expertise and project support communication. Countries differ in their agricultural potentials. It’s almost a miracle that some countries are food secure or exporters of food. But the material principle is that where their land was largely arid desert, they had the determination to make it fertile and that led them to the technology for achieving it. Israel is an example of that. Another wonder of the agricultural world is the rooftop and indoor gardens of New York, Chicago, Tokyo and Singapore. A company sets up a greenhouse in the middle of a mega city, several miles away from soil and by the control of light, temperature and humidity, produces fruits, vegetables and crops all year. Or individual families grow their favourite vegetables on their roof top, taking advantage of the sun’s energy or inside the house by the use of artificial light. It’s notable that many of the countries that made great progress in agriculture also made great progress in manufacturing and vice versa. South Africa is an industrialized country, exporting machinery, weapons, chemicals and diamond. Yet, she has continued to pay good attention to agriculture despite the fact that just 12-13 percent of her land is arable. She is so careful to keep commercial farming – the source of much of productivity going strong that she has hesitated to give in to the desperate cry of black farmers for the government to take away some land from the white farmers and give to the black farmers. What’s the result? She is not only self-sufficient in food, but is a net exporter of food. By all accounts, Nigeria’s agricultural potentials are very enviable. In spite of desert encroachment, as much as 70 per cent of Nigeria’s land is arable. This land yielded harvests that made the country the world’s largest producer of palm oil and the world’s second largest producer of cocoa. This was before the petro-naira flow of the 1970s to the 1990s lured her away from agriculture. Even today Nigeria produces the most cassava in the world. 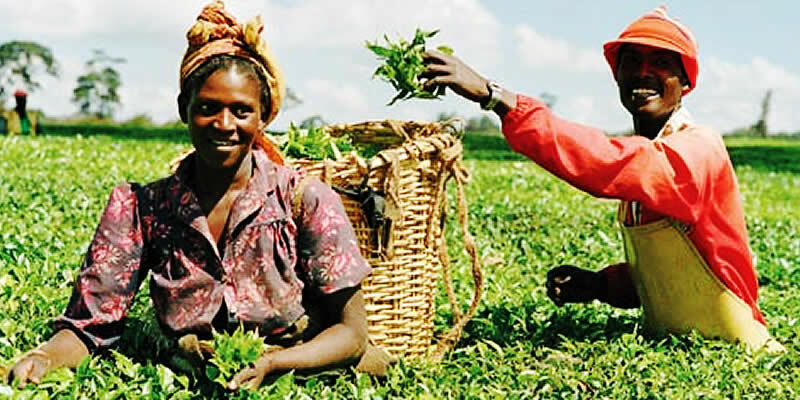 Income from agriculture made Nigeria one of the richest and fastest developing countries. With her neglect of agriculture, Nigeria has become West Africa’s largest importer of tomato paste, and her yearly import of sugar, rice and fish has reached eleven billion dollars. Unfortunately, crude oil revenue dwindles to a trickle and 70% of Nigerians go without good food. For sure, fertilizer from Government now gets to the real farmers. This is said to have added several tons to the quantity of food produced in Nigeria. Agricultural export has also shown signs of recovery but the much needed export is fraught with difficulties arising from non-compliance of products to standards. According to the SON director general Dr Joseph Ikem Odumodu, “due to Nigeria produce arriving foreign destinations without test reports from accredited labs, our exporters are surcharged 10 % of the value of their goods to pay foreign testing laboratories. In the event of the lab finding the goods substandard, the goods are shipped back to Nigeria at the exporter’s expense”. infrastructure to make sure that certification is available for deserving agricultural produce and that the certification is respected anywhere in the world so that the exporter and the farmer can make all the money there is and continue in business. And that totally agrees with our agenda MINFOW (Made in Nigeria for the World),” the SON boss added. For products with no standards to follow, SON has also developed standards. This is to encourage best practices among farmers and processors of such products. The products for which first standards have recently been enumerated are garri, cassava flour, cocoa cake, sesame seed, sesame oil, tomato flakes and shea butter. Standards dictate form or grade of the product as well as the packaging and information or labeling the product shall carry. As earlier said, the FAO Representative in Nigeria Dr Louise Setshwaelo’s speech at the Africa Standardisation Day Seminar in Abuja validated the path SON has been walking with Dr Odumodu as its director-general. Her call for increased investment in agriculture tallies with SON’s call for increased investment in national quality infrastructure (NQI) which comprises of standards, testing laboratories, metrology the science of measurement, accreditation and the legislation establishing all the NQI components. She confirmed the important role SON plays in agriculture by saying that standardisation and regulatory systems are the way Africa can modernize her agriculture. In all, with the massive moral and quality infrastructure support from SON, Nigeria agriculture has brighter days ahead of it. As the nation’s quality infrastructure gets increasing testing laboratory and metrology boosts, the days of most Nigerians going hungry and Nigerian agro-exporters meeting a reluctant global market will be over.